Notes: The counter for a “head” of Korean cabbage is 포기. 이번 김장에 배추를 몇 포기 했어요? = How many heads of cabbage did you do for kim-jang this year? 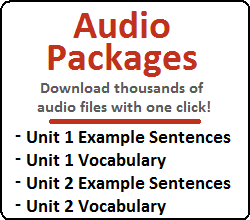 It is a trend for young people to combine the first syllable of two words to make a new words. You can refer to your armpit hair by saying 겨드랑이 털, or simply “겨털.” Older people might not get what you mean at first, but they would probably figure it out. Notes: This usually refers to things that get used up easily, like pens and paper in an office. 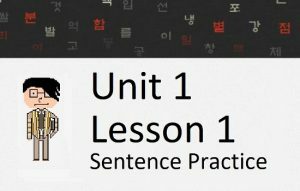 In the previous lesson, you learned how to use the word “유일하다,” which has the meaning of “only” or “unique/sole.” In this lesson, you will learn another grammatical principle that can be translated to “only.” In this lesson, you will learn how to use the particle ~밖에. Let’s get started. 혹시 밖에 비가 와요? = Is it raining outside? 북을 밖에서 치면 안 돼요? = Can you (please) play the drum outside? It is also possible to attach ~밖에 to nouns as a particle. This new construction may translate to something different, but the meaning when used as a particle like this is actually quite similar to the meaning when used as a noun. However, when ~밖에is used, the speaker is emphasizing that “nothing but” a particular noun is acted on. = (You say that…) Your boyfriend gave you nothing but money? Also, you might be thinking that this is probably a sentence that would never be uttered. However, Korean people make kimchi every year (out of 배추) and store it in their houses all winter. This means that they have to make a ton of kimchi and order a ton of 배추. Ordering 100 heads of it isn’t uncommon. In all of the examples so far, I tried to translate ~밖에 to “nothing but.” I usually find those sentences unnatural in English. I find it much natural to simply use “only.” As always, pay more attention to the Korean sentence than the English translation. 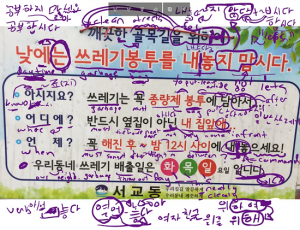 In order to create more complicated sentences that describe “It only takes 30 minutes to get from Seoul to Incheon,” you need to learn how to use ~는 데, which will be introduced in Lesson 76 and Lesson 77. 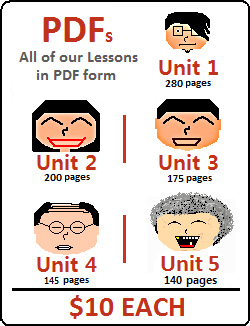 Before you move on, let’s look at another practical usage of ~밖에.